The way our skin looks tells a lot about our physical wellness. A glowing complexion indicates good health and vibrancy, yet many people struggle to achieve it, whether due to genetics, diet or environmental factors. At Amani MedSpa obtaining radiant skin is possible. We are pleased to offer a variety of treatments to transform your skin. From facials and chemical peels to dermaplaning and microneedling, our skin care experts will customize a treatment plan to your unique needs. Learn more about the aesthetic treatments and services offered at Amani MedSpa below. Award winning Hydrafacial MD is one of the most advanced treatments available for non-laser skin resurfacing. We are proud to be the first center to bring Hydrafacial MD to the area eight years ago. By combining the benefits of microdermabrasion and chemical peels, we can transform the health and appearance of your skin. Perfect for all skin types and concerns, Hydrafacial provides immediate results and takes as little as 30 minutes to complete. This treatment helps erase fine lines and wrinkles, tightens skin, creates a more even complexion, improves skin’s texture, minimizes brown spots and shrinks pores. Using a specially formulated Activ-4TM serum, which contains lactic and glycolic acids, algae extract and yeast extract, dead skin cells are removed, and the skin is gently cleansed. The second step uses a mixture of glycolic and salicylic acids to exfoliate further and gently peel the skin, removing impurities and preparing the skin for the remaining steps. Using vortex suction, the pores of your skin are thoroughly cleansed and the nourishing serum, Beta-HDTM is applied. A special blend of antioxidants, peptides and hyaluronic acid is gently applied to the skin to provide nourishment and protection. Ready for beautiful, radiant skin? Schedule a Hydrafacial with one of our skin care experts today. Banish fine lines, sun damage and uneven skin tone with a chemical peel. During this procedure, our skin care experts help to reduce facial imperfections by gently peeling away the skin’s top layers. Chemical peels are available in a variety of strengths so you can choose the right level of exfoliation, whether you’d like to reduce the appearance of acne scars, wrinkles, sun damage or even pre-cancerous growths. Whichever peel you choose, you can be comfortable knowing that our expert skin care team takes the greatest care in rejuvenating your skin. Learn more about the chemical peels we offer at Amani MedSpa by scheduling a consultation. If you want to restore vibrance in your skin and stimulate collagen production, microneedling is an excellent treatment to consider. Much more effective than at-home treatments, microneedling at Amani MedSpa uses a medical grade device with micro needles that gently penetrate the skin and creates invisible micro-perforations in the top layer. This causes the body to begin producing collagen and elastin to renew the skin. Approved for all skin types, microneedling results are immediate and continue to develop over several days and weeks. The number of treatments required depends on the unique needs of your skin. More information on microneedling and microneedling with PRP can be found here. 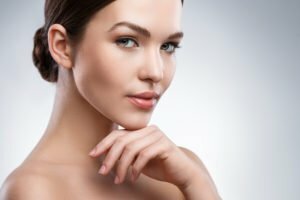 Ready to learn more about microneedling? Schedule a consultation with one of our skin care experts today. Genetics, time and the environment play a significant role in the appearance of the skin. Whether you seek to reduce the appearance of acne scars or the lines and spots associated with sun damage, dermaplaning may be right for you. During a dermaplaning treatment, the dull, top layer of skin is gently scraped away. This process removes dead skin cells and reveals healthier, more vibrant skin. To learn more about the benefits of dermaplaning schedule a consultation with one of our skin care experts today. IPL photo rejuvenation (Intense Pulse Light) is a quick, gentle and non-invasive treatment that uses a broad spectrum of light to improve skin damaged by sun exposure. It may be used anywhere that sun damage is present including the hands, face, and neck. It effectively removes age spots, brown spots, and redness. To learn more about IPL photo rejuvenation, read our article, Skin Renewal with IPL by clicking here. If you’re ready to experience the difference that IPL photo rejuvenation can make in your appearance, please schedule a consultation today.